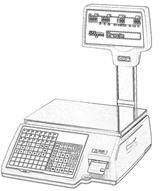 Our retail weighing solutions are popular with Store Owners and Operators throughout Australia. Filled with features and functions to suit retail environments. Our range includes; Pre-pack Scales and Weigh Labellers, Checkout / Point of Sale (POS & Cash Register Interface) Scales, Reporting Scales, Networked Scales, external Thermal Printers and Labelling Systems. Our retail solutions suit all businesses from small operators to large corporations. 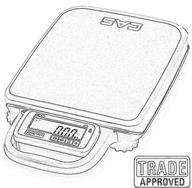 Certified Trade Approved scales are required by law if goods are sold by weight or measure. However not all scales can be issued a certificate of accuracy. Scale types must first be approved by the NMI in accordance with their regulations. Once a scale or weighing equipment has been approved it is then issued with an NMI Approval number. Scales or weighing equipment with NMI approval numbers are therefore able to be tested and certified by Accredited Personnel, allowing the equipment to be used for legal trade use. In this category, we have listed all our Trade Approved scales. Scale Accessories and other retail accessories can be found here in this section. 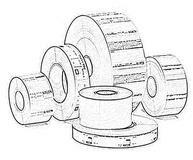 -Thermal Scale printers, label Stickers and wrapping machines. Measure accurately using a CAS balance. Our range of CAS laboratory balances provide high precision weighing that includes digital balances and analytical balances. These weighing scales have high level of accuracy and are perfect for medical and laboratory use, also ideal for jewellers and other precision weighing applications. 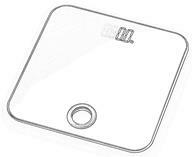 Wet Area Scales are mainly used for weighing & controlling portion sizes in food processing industries, Butcher Shops, Fish Markets and so on. CAS Scales supplies a variety of Wet Area Scales rated between IP65 and IP69 (dust proof & water proof) making them ideal for use in various applications. Our industrial scales come in a variety of sizes and idyllic functions for a large variety of industrial weighing applications. We offer heavy-duty Platform Scales, Pallet Weighers, Counting Scales, Digital Indicators, Remote Displays, Crane Scales, Check-weighers, and large selection of diverse Load Cells including Single Point, Shear Beam, S-Type, Canister, Low Profile / Miniature Load Cells and Weighbridge Load Cells. Most digital scales as well as some balances have the ability to perform basic counting. However with the demands for tighter stock control and miniature components, scale manufacturers have developed dedicated counting scales. Dedicated counting scales have 3 displays (Weight / Unit Weight / Count) and are able to take the unit sample weight of individuals items. This increases the scales counting accuracy. Digital weighing indicators to suit various requirements and applications, such as process control, parts counting, check weighing, truck weighing (single or multi deck), onboard weighing, filling, batching, luggage weighing, summing and many more. 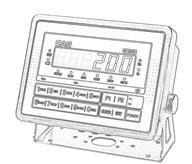 Our high-performance digital indicators can be found working across many industries, controlling the weighing function in manufacturing, packing, bulk handling and logistics operations etc. Our weight indicators can offer a comprehensive range of functionalities, from basic indicators for simple weight routines, to static check-weigh applications. Crane Scale Series is a rugged heavy-duty hanging scale for various industrial environments. The Series is applicable in industrial areas including manufacturing factories and also heavy-duty industrial plants.Furthermore, those are equipped with a wireless remote control function which makes your operation more efficient and safe. CAS offers a range of medical & health care scales to suit a wide range of needs. Choose from our personal weighing Scale, Roll-on Wheelchair Scale and even Baby Scales. We have large selection of Single Point, Shear & Bending Beam, S-Type, Canister, Low Profile and Weighbridge Load Cells for various compression and tension weighing applications. 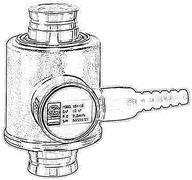 OIML approved load cells for “legal for trade” applications. CAS Scales can supply both load cells and mounts. 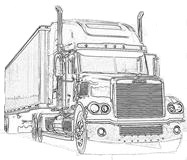 We provide reliable and robust options for vehicle weighing applications. Our Weigh-Pads are designed for Multiple Axle Weighing and are highly flexible with various arrangements achieved by inserting dummy plates. Our CAS Ezy Lodec Weighbridges are of a modular design allowing for easy shipping, installation and relocation. Expand in length & capacity with additional modules, reaching up to 24 meters. Fully galvanized body structure for superior protection against rust and corrosion. Providing complete inspection solutions to aid in the speed and quality of various production processes. CAS Checkweighers are designed for high speed weighing, with the advantage of high resolution and self developed load cell technology that guarantees product safety and quality control. Suitable for multiple product types and available to be customized by changing hardware & software to suit each individual clients needs. CAS Metal Detectors are designed for a variety of industries. High sensitivity for accurately detecting foreign matter in aluminium packaged products. 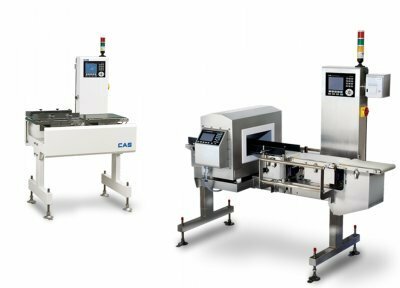 Combined Checkweigher & Metal Detector series are designed to provide the most efficient and reliable production performance.